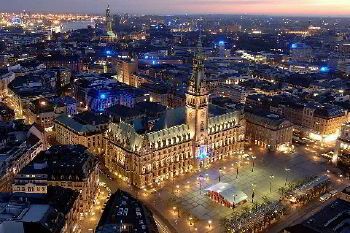 Hamburg is one of the most visited cities in Germany. People travel to Hamburg for various reasons. This city is seriously engaged in business, yet people can't but mention the majority of sights the city is vibrant. Once you arrive here, hire a minibus with a driver and visit such amazing views as Miniatur Wunderland, Town Hall, St. Petri Kirche, Beatles-Platz, Church of St. Michael and plenty of others. This city promises to fascinate and amaze you, be prepared! Among the numerous car rental services operating in Europe, not many can rely upon. 8Rental is one of those rare chauffeur services that stands for each claim it gives. We are professional in all ways and do everything necessary not to place our reputation in doubt. Once you entrust your transportation in Hamburg to us, be sure you would like to do it again. 8Rental car supplier in Europe offers a series of vehicles on most favorable conditions. Minivans are among the most commonly ordered types. Vans allow to travel with quite a large group of people (up to two dozens) and enjoy every scenery from the window. Booking a minibus from this car rental, you will also economize on the cost. 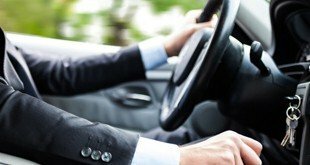 Get a quote from 8Rental to guarantee yourself with a safe and fast driving in Hamburg! Another advantage you will get once you decide to rent a minivan with a driver in Hamburg is saving much time. No longer will you have to spend hours on finding out an address, waiting for a public transport that will accommodate all of you or dig into metro maps. Just book a van with a personal driver and let him drive you along the city roads! Additionally, none of your group of friends will be obliged to watch how you drink in the bar at night and deprive himself of that pleasure to drive you to the hotel. With our driver, all of you can enjoy your evening and be safely taken back to hotel regardless the late hour. Before you hurry to hire a chauffeur driven minibus in Hamburg, we suggest you have a look at our fleet. Visit the official website of the service to see what amazing minibusses are presented to your selection! Are there only up to eight people traveling in Hamburg? Do you plan to admire the city together? If yes, a Mercedes Viano and its VIP variants are what you need. These vans have all the specifications for making moving on the roads safe and convenient. Another grandiose minivan presented at 8Rental is designed for around 24 persons. It is the Mercedes Sprinter. The model has an elegant exterior design, while the interior is made of premium materials. Everything in the van is prepared to provide an utmost convenient traveling to all the passengers. Anyway, if you can't distinguish which van to rent, contact the CS operator and get reliable recommendations. Together we shall find the best option for you! 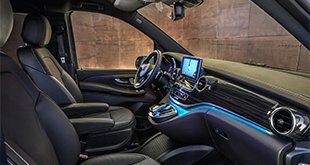 Who said that a vehicle with an advanced safety system is enough to feel secure while driving? Without a competent driver, no car can be safe! Here at 8Rental, we have created a staff of credible drivers who are ready to serve professionally with every client. They are licensed, have great practice in the field and won't let you down! If you don't speak German, hire the chauffeur that speaks your language. After what you have just learned about 8Rental, no doubts should be left. However, if you still hesitate whether to hire a chauffeured minibus in Hamburg or not, we shall hint about a couple of bonuses you'll get by choosing 8Rental. The fuel necessary for delivering you to your destination is under our responsibility, just as the insurance. Additionally, you will be in charge of no fees or taxes. Have your ordered van meet you at the airport and take you to any direction you need!